Here are a few more new & revised cheap finds with new & recent coupons. I’ll let you know if any listed below get any better with new Price Cuts or sales. Please Remember- all insert coupons have the potential to be regional and prices can vary by region, but here ya go! = as low as free after coupons & cartwheel depending on price. There are just a ton of new & reset Target Cartwheel Offers today, including several Offers that have reset for Huggies products. These will work nicely with some current deals you can grab at Target this week thru 7/13. If you printed your max on the $1/1 Huggies Wipes on Facebook, there is a .50/1 Huggies Baby Wipes 40ct+ 6-23-13 SS x7/20. If you have the Target Huggies Insert coupon- you may also use your TQs to do both gift card deals…. Here are some more new & revised cheap finds & Target deals with new & recent coupons (the new coupons are all marked with an asterisk*). I’ll let you know if any listed below get any better with new Price Cuts or sales. Please Remember- all insert coupons have the potential to be regional and prices can vary by region, but here ya go! HEALTH & BEAUTY, HOUSEHOLD & MISC. 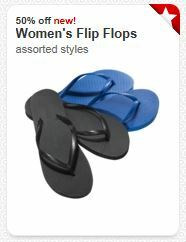 If you have had your eye on a pair of flip flops at Target, we have a new 50% Off Women’s Flip Flops (excl. C9 by Champion) Target Cartwheel Offer. This one is valid this week only thru 7/6, but will cut your cost in half if you’ve seen a pair that you just can’t resist. 🙂 There are some basic flip flops sold at Target for as low as $2.50, so $1.25 after cartwheel, and prices go up from there. The offer excludes C9 and clearanced styles. This savings program from Target allows you to save even more when shopping in-store. 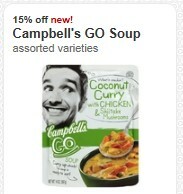 Even better- these offers can be used with Target Coupons AND Manufacturer coupons for up to a triple stack! You can see my post HERE to help get you started. NOT FAMILIAR WITH TARGET CARTWHEEL? This savings program was introduced by Target to save even more when shopping in-store. Even better- these offers can be used with Target Coupons AND Manufacturer coupons for up to a triple stack! You can see my post HERE to help get you started. Nestle Drumsticks & More for as low a 64¢! New $1.50/1 Mars Ice Cream Bars Coupon to Stack! 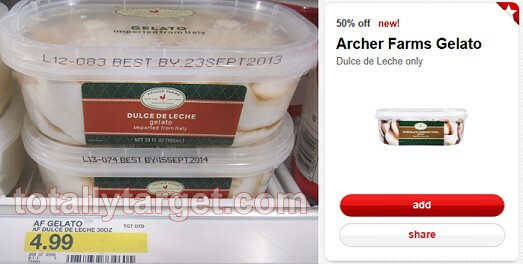 As I posted earlier- we have some super-nice new Target mobile coupon offers when you text FRESH to 827-438. (you can see my post with some manufacturer’s matchups HERE). One of these offers is for $1 Off ANY brand of bath tissue 12 pack or larger. 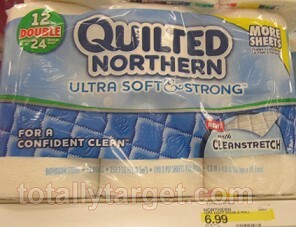 You can stack this with the $1.00 off 1 Quilted Northern Ultra Soft and Strong (which actually reset for me today :)) AND the 10% off Quilted Northern Bath Tissue Target Cartwheel Offer x7/6 to get a great deal at Target…. = $4.40 after stacked coupons & cartwheel or around .36 per double roll or .18 per regular roll. If you have already printed yoour max on the $1/1 manufacturer’s coupon- there is also a $2/2 Quilted Northern Ultra Plush or Soft & Strong 12 Big or 12 Double Roll HERE. =.36 cents after stack & cartwheel or like 86% off!